The last time I had anything from KFC, early this year, it was their compact meal, which consists of Jollof rice and one piece chicken for 650 naira. Recently, I had business to take care of at Ikeja and I was terribly hungry, I decided to try out kfc once again. The Parking Lot: There is enough parking space to take about 5 cars , which is okay. Land in Ikeja is pretty expensive. The Setting: Inside is quite spacious, with more seats upstairs. The chairs downstairs are so scary, I kept seeing myself falling off. The Food: During my first visit this week, I ordered the snacker meal combo which cost 700 naira and consists of a ridiculously tiny snack (the sales attendant warned me about it ), mini fries and a bottle of Pepsi, and 2 pieces of chicken for 700 naira. During my second visit, I ordered the BIG HUNGER MEAL COMBO, which cost 1800 naira and consists of a 3 pieces of chicken, large fries and a bottle of Pepsi. I would have taken a picture, but my fries and drinks spilled and before I could get a new one, I was almost done with my second piece of chicken. I was actually surprised that I got a new order of fries and drinks on the house; I was already thinking I had lost 1,800 naira! 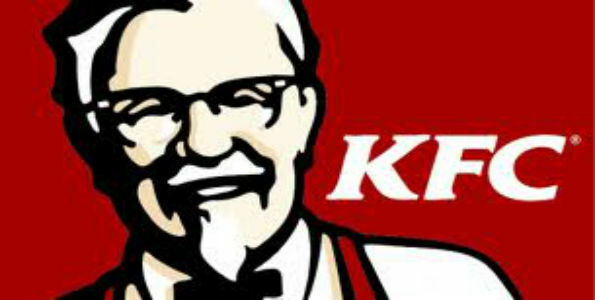 That gesture made me love KFC more.. The staff: The sales attendants at this location were friendly and down to earth. They are always ready to give you options and tell you which is better for you depending on how hungry you are. I actually like the Allen avenue KFC branch and if I have any reason to be in Allen again, I am going to KFC. They make the best chicken! But please note, you may have to use your ATM card to pay because they hardly ever have change. On my way for a meeting at that building, i’ll try some of their menu.